Robert Scott McNutt, 70, of Jersey City, formerly of Bayonne, passed away suddenly on Sunday, December 2, 2018, at Bayonne Medical Center with his loving wife at his side. Born and raised in Jersey City, Robert moved to Bayonne where he resided for 11 years before settling back in his hometown of Jersey City. Robert had a long and fulfilling career with the Jersey City public school system where he dedicated himself to the highest standards as an educator. He began as a substitute teacher at James J. Ferris High School in 1987. The next several years he taught social studies at Lincoln High School. From 1999 through 2014 he served as administrator for Dr. Charles P. De Fuccio P.S. 39 and he was also the head of the AEHS program at William L. Dickinson High School. In 1995 Robert received the prestigious title of “Hudson County Teacher of the Year” for his deep commitment to helping students succeed. After his retirement Robert became actively involved at Blessed Miriam Teresa Parish Bayonne, where he and his wife Joan were longtime faithful parishioners. The many positions he held at Blessed Miriam Teresa Parish included: president of the Holy Name Society, Eucharistic minister, member of the church choir, and CCD teacher for (RCIT) Rite of Christian Initiation for Teens, and was a member of the Serra Society of Hudson County. 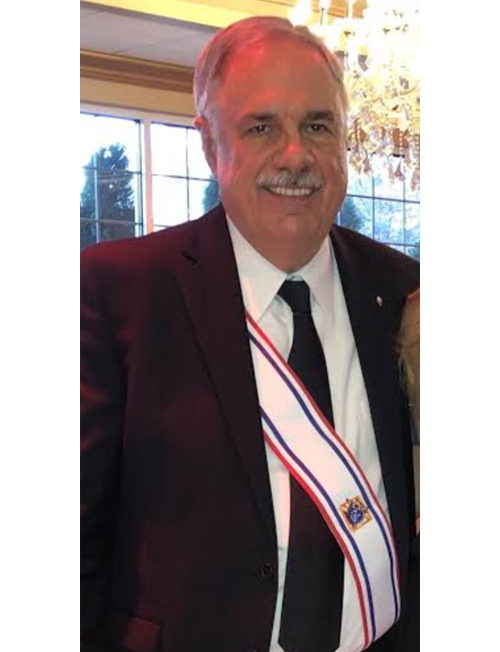 Robert was a proud 4th Degree Knight with the Assembly Council 675 Bayonne Knights of Columbus and currently served as the recording secretary for Council 371. Robert will be remembered as a loving and compassionate gentleman whose inspiration was felt by the countless lives he touched. His loss leaves a void in the hearts of his family, friends, colleagues, and students. He will be missed immensely and loved eternally. He was predeceased by his parents, George and Madeline (Pastore) McNutt; and his sister Ann Marie Andrzejewski. Left to cherish his wonderful legacy are his beloved wife of 24 years, Joan (nee: Bochniak) McNutt; daughter Barbara Jean McNutt; three sons, Brian, Brad and Robert A. and wife Andrea McNutt; two brothers, Steven McNutt and wife Annette and Roger McNutt; and four adored grandchildren, Kaitlyn, Alexa, Jackson, and Carter McNutt. Relatives and friends are respectfully invited to attend visiting hours at the Dworzanski & Son Funeral Home on Thursday, December 6, from 2:00 to 4:00 p.m. and 7:00 to 9:00 p.m. A funeral mass in Robert’s honor will be offered on Friday, December 7, at 10:00 a.m. from the Parish of Blessed Miriam Teresa Demjanovich at St. Andrew’s Church, 2 West 4th Street, Bayonne, N.J. Interment will follow at Holy Cross Cemetery, North Arlington, N.J.